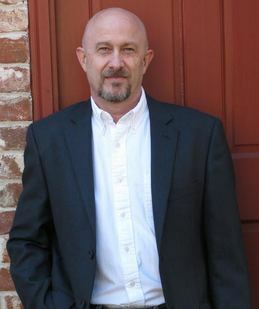 Please share a bit about your journey to becoming a writer/published author/Not everyone has a mid-life crisis, but I did. At 41, I found myself divorced with three young children, a 50/50 joint custody, and a full time job…a logistical nightmare since my employer, the federal government, really didn't care about my problems, only whether I showed up for work or not. Like most people who find themselves thrust into these situations, I struggled. One day, while talking to a friend about all the things I felt about my new found life as a single father, I was asked if there was anything I had ever wanted to do but never had the time (or inclination) to do. 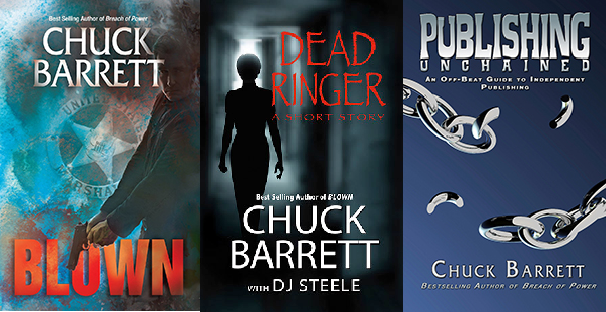 As a fanatic about thrillers, whether reading or movie going, I replied, "I think I'd like to write a book." My friend had made me see what I couldn’t' see myself. That was 1998. It took twelve years and several rewrites (5), critique groups, and writing conferences, along with a 6 or 7-year respite from writing, before my first book, The Savannah Project, was published. With 8 books behind you, where do you find the inspiration for new story lines? For the characters you create?Some story lines develop without much thought; they just seem to find themselves along the way…or find me. The first book was easy; I already knew what I wanted to write about…it was learning the craft that took so long. The second, not so much. 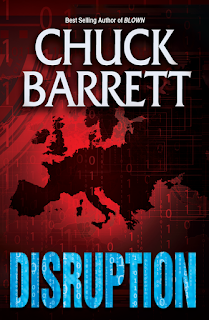 I met a man on vacation in Utah who became the impetus for the next book…and his character has carried through to my latest, DISRUPTION, which came out October 25, 2016. But he is not the protagonist, he's the protagonist's boss. 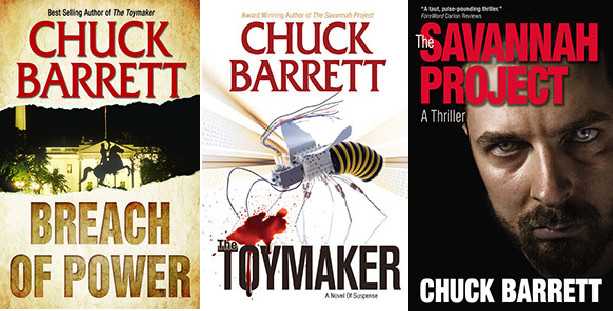 This real life character has found his way into three thrillers of mine so far. Other ideas come from news articles, current events…it's just a matter of paying attention to what's going on around the world…or around my world. For me, characters seem to come easy. Certainly easier than story lines. Fleshing out a character before writing is important. I didn't have a good handle on how important that concept was until just a few years ago. Once you know what motivates a character, it's much easier to put yourself in their shoes when you write. Your books are labeled as mystery, suspense, tehno thrillers and political. What kind of research is involved in creating a believable story line in these genres? Can I get away with just saying extensive? Yeah, I thought not. I have a notebook full of research material for each book. Whether I's settings, technology, historical information, character descriptions, … the list goes on. And I still print it out and keep it handy so I can flip through pages as I need to while writing. Google Earth and Google maps are critical tools for every author. We can't always go to every setting, so we need a way to be accurate about settings without actually visiting sometimes. Street views allows us to view the setting as if we were actually standing in the middle of the street. In a sense, we are. With DISRUPTION, I had to delve deeper into political motivations for cyber-warfare and explore several scenarios with different countries in order to present the most interesting one to the reader. All Plausible. All have happened or could easily happen any day. And all, scary as hell. Have any experiences from your time as an air traffic controller ever worked their way into one of your story lines? Funny this question should arise. Having been in the aviation industry since 1978, I felt an obligation with my first book, The Savannah Project, to include an aviation theme. Not only did I include some experiences from my time as an air traffic controller, but as a pilot as well. Since the story basically starts with an airplane crash, I incorporated it from a controller's perspective, since I already had roughly 25 years' experience as a controller. Tidbits from many of my coworkers found their way into the characters in the book. Some flattering, some not so much. How do your organize your time when working on a new book? Research? Working on Manuscript? Pre-marketing?For the most part, when an idea comes to me, I start researching a little at a time until the full premise comes to me. When I have enough to start writing, I typically write non-stop until I'm finished. I don't have a set-in-stone schedule and I don't write every day. When I am in the writing mode, I do have somewhat of a schedule…I answer emails and spend a little time on social media first thing in the morning-then I write the rest of the day with a break for lunch. After the first draft is completed, I put the manuscript away for a minimum of two weeks. After my brain has purged some of the writing mode clutter, I pick it back up and start self-edits. Typically, two times through the entire manuscript, front to back, before I let anyone read it. First crack at it goes to my wife, who always does an outstanding and thorough edit…including fact-checking. (She also makes sure I don't embarrass myself by writing something outlandish. It happens on occasion.) After I've cleaned it up from her edits, I sent it out to my tried and true beta readers. I give myself quite a long lead time from completed/finished product to release date. That way I have plenty of time from premarketing and advance reviews. It also gives Audible plenty of time to get the audiobook produced by the release day. My usual lead time is between five and six months prior to release date. Seems like a long time, but I get a lot accomplished during that time, including a good jump start on the next book. As an author - what do you enjoy most about writing process? What feels like a chore? I am what many call a pantser. I know the beginning, the end, and roughly how I want the story to go before I begin writing. Then I let the story just unfold as I write. This part is fun and exciting. Most times what happens is as much of a surprise to me as it will be to the reader. The worst part, by far, of the entire process is editing. Worst for me, anyway. I do know some authors who like editing—I think they're sadists. You also offer tips on self-publishing through both workshops and your book - Publishing Unchained: An Off-Beat Guide To Independent Publishing. What is your number one tip?For those who want to jump into the self-publishing role, my #1 piece of advice is to separate your author self from your publisher self. The process MUST be looked at from different perspectives, and some of which are contrary to the best interests of the other. For instance, as a publisher, you must be critical about the product you are about to release to the industry. If the author (yourself) has done a good enough job, DON'T PUBLISH THE BOOK! If you do, it will forever look badly against you as a publisher and an author. In every way, the product you put out as a publisher must look, read, and feel just like that NY Times bestseller sitting next to it on a shelf. Optional - anything new in the works you'd like to share with readers?